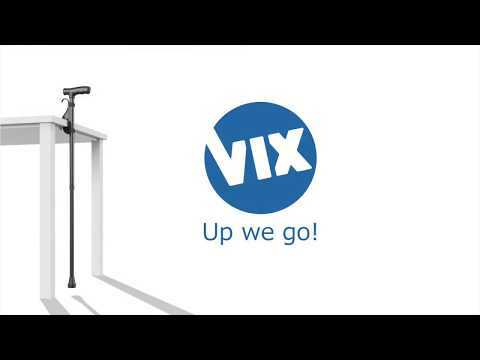 With the VIX Jive your stick won’t fall any more. This walking stick clip has won the competition of the Dutch tv show: ‘The best idea of The Netherlands’. Thanks to the hook and loop band the VIX Jive is easy to fasten onto walking sticks or crutches with a diameter of 19 mm till 25 mm. The clamp will fit table tops with a thickness up to 45 mm. The integrated hook can be used to hang the walking stick.